The coast of Maine is one of my favorite places to hide away at during the summer months. You cannot deny the beauty the rugged coastline holds, and there is a plethora of things to do and see. Despite it being the busy months for tourist traffic, it is a season that everyone should experience once in their life. Acadia National Park is located in the northern part of the coastline, about three hours north of Portland, Maine. It is known for balsam fir filled hikes, rocky beaches, and amazing views of the ocean off the granite peaks. Inside the park you'll find three campsites, although only one is open all year. We stayed at Blackwoods Campground, and I highly recommend if you do want to stay here to book months in advance online. We ended up getting one of the last spots available, and it was three months ahead for our stay during the busiest time in the park. Blackwoods is located right off Rt. 3, which makes it easy to get around the park if driving. The nice thing about this particular campsite is if you don't have a car, there is a shuttle that will take you to some of the major tourist spots. The campsite itself is the most popular due to the proximity to the trailheads and other major sites you'll want to see in the park, such as Eagle Lake. There are a total of 306 camp sites (including RV sites), with a $30 park fee to enter that is good for your stay. I have been getting a yearly $80 national park pass, which I encourage if you go to a few national parks a year as it saves you money in the long run. Each site has a picnic table and fire pit to use, although you must buy camp wood locally. This is not an issue as there are numerous places to buy wood at along the road just outside the park. The only downside to the campground is you are a bit close to the neighboring camp sites. I didn't find this to be much of an issue because everyone was pretty quiet in the evenings, and honestly was too busy enjoying my time to really pay attention to how close I was to others. I could see this being a downer to others though. There are facilities on site to use with flush toilets, which I always found clean, but showers are not located inside the campsite area. There are privately owned coin-operated showers a two minute drive away to use. I also found these to be clean, especially for the amount of traffic they get daily. 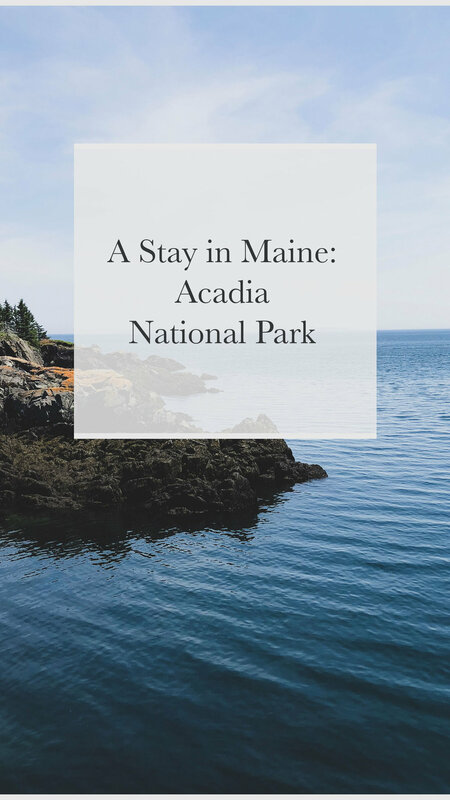 Blackwoods is also easy access to the popular Bar Harbor area, which is a good place to stroll around and grab a few local brews to take back to the campsite. There is just something about sitting under the balsam firs around a campfire with a good beer and good friends that is nourishing to the soul. I enjoyed this campground because there are some popular trailheads that branch off of the park, including a walk on the coast, which is great motivator to get up and hike to watch the sunrise. It is a great place to call home base for exploring the park in all directions because of the location right off route 3, and the park employees were very helpful if you need any assistance during your stay. There is a reason why Blackwoods Campground is the most popular in the park, and I recommend staying here, especially for first-timers to the area.